There are a number of ways for IT to ease the process of managing a multi-vendor data center. This e-book series examines the best practices for vetting vendors, integrating new technology into the data center and training personnel effectively on the right operating systems. These chapters will serve as a guide for the entire decision-making process. Significant IT expenditures can represent a make-or-break moment for the department, especially in this economic climate. 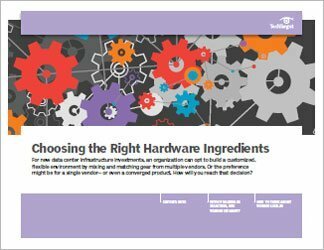 In terms of selecting data center hardware, planning can go a long way, and selecting the right mix helps to minimize waste and maximize efficiency. 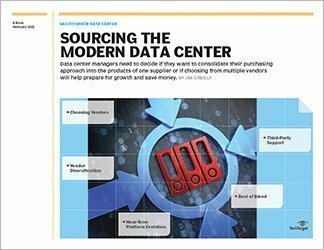 A single-vendor data center approach could be the right way to go, but there has been debate as to whether multiple vendors may be the best solution for IT shops. The right answer depends on an organization’s particular needs. IT decision-makers should examine all of the possible solutions, choose the best vendor and then integrate other vendor products if it makes sense to mix and match. This chapter examines the role of operating systems within a multi-vendor data center, and how software and personnel are intertwined within an organization. In an ideal world, training wouldn't be attached to a tangible cost. Since expenditures do matter, however, and OS licensing costs are a growing concern for data center managers, organizations need to ensure that quality takes precedence over quantity. The chapter focuses on cross-training Windows and Linux, which helps to limit spending and ensure that migration off legacy proprietary OSes occurs without a hitch. Since a majority of the apps live on these platforms, and the software receives updates, a more thorough approach will be beneficial to the organization.